Baguio City’s annual flower festival which includes the popular “Grand Float Parade” as well as the “Grand Street Dancing Parade” is near approaching. 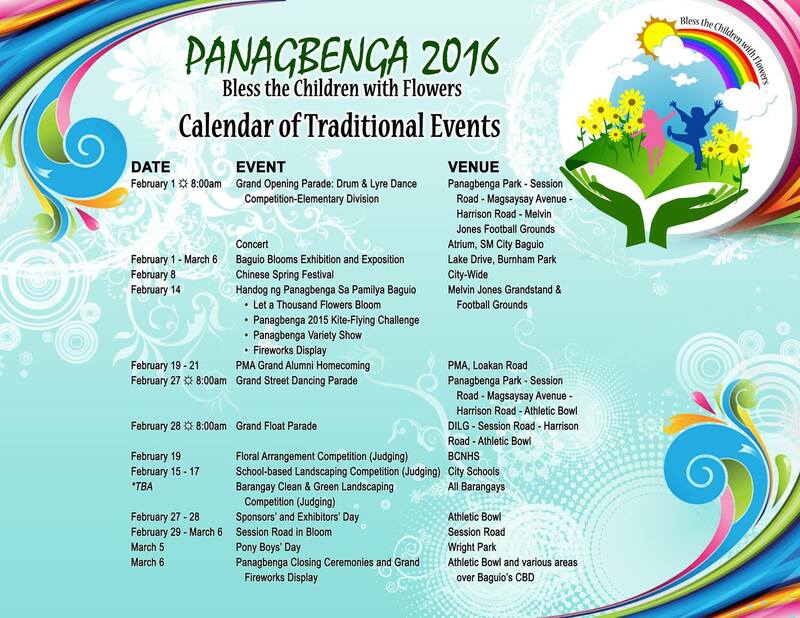 The month long festivities will officially start on February 1, 2016 with the theme “Bless the Children with Flowers“. The Grand Street Dancing parade which highlights various costumes from the region is scheduled on February 27, 2016 (Saturday) while the colorful Grand Float Parade is set on February 28, 2016 (Sunday). As usual, the Grand Float parade will feature different competing grand floats adorned with colorful flowers which comes not only from Baguio City but from different flower gardens in La Trinidad and some places in Benguet.